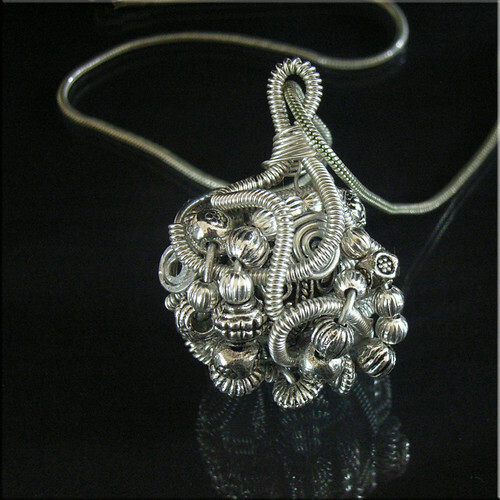 Just another view of this lovely,unique pendant. I have not made two the same, I am sure it is impossible. About 1 inch in diameter and beautifully weighted it is quite easy to make.